We currently have no offers available. Contact us by email or telephone +39 0585 245200 for tailor-made offer or further information. Book from this web site for the BEST PRICE! 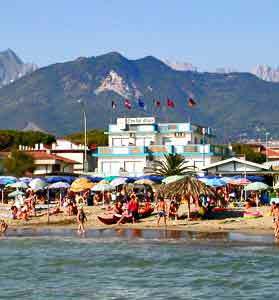 Hotel situated in Marina di Massa near the Sea and the Beach. Hotel with swimming pool and children mini club.